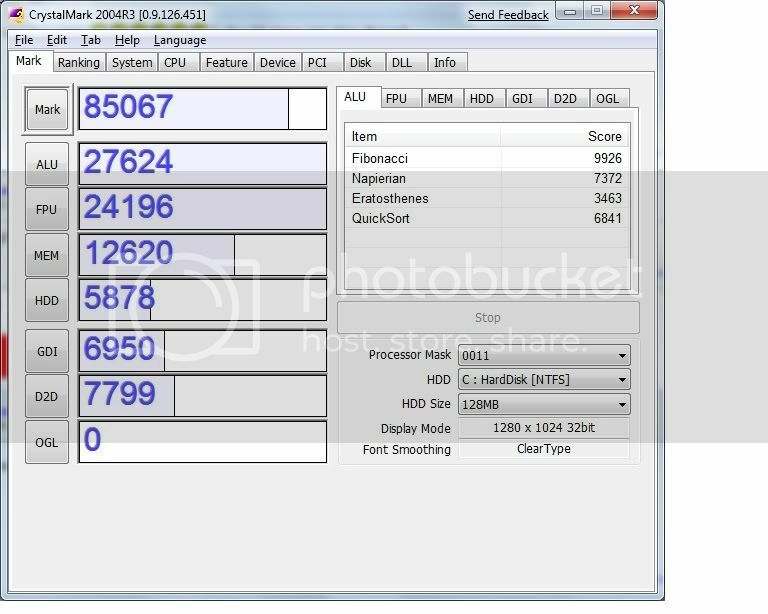 Thanks goes out to Broni for mentioning this benchmarking utility in the Reviews and Recommendations section. 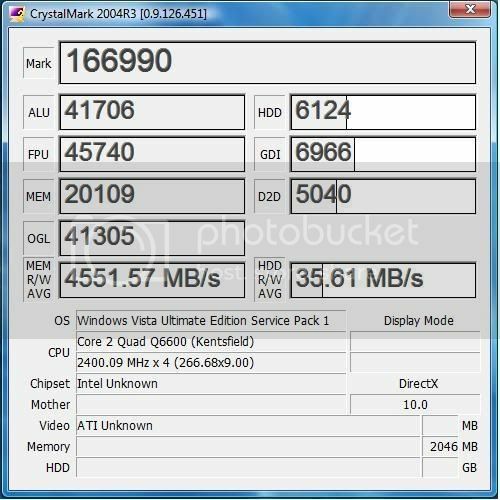 I'm creating this thread to see what everyone's computers benchmark score in CrystalMark is. Users who don't have their own custom built computer are also welcome to post in this thread. What's the HDD you've got in there? Pretty cheap now days especially for the system you have I'd definately a worthy investment. I'd imagine it's a pretty big drag on overall system performance in certain situations such as opening a program or game. Why did you waste your gift certificates? I could run a few individual tests but no results page. Little blurred but I reduced the quality so the file was fairly small. Hope the image isn't stretching the topic or anything. Could have tweaked my system a little to get a better score - for example my RAM is running slower than rated, but ... it's only a benchmark. Looks good Calum and with that Mark score I do believe you're dominating.